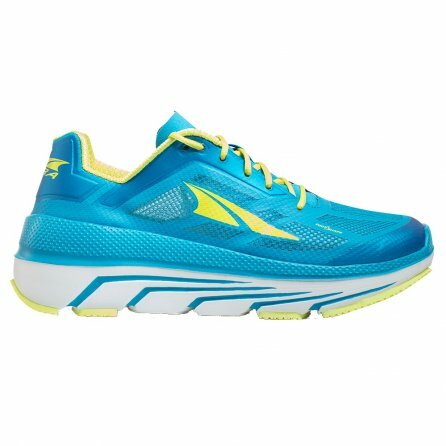 The Altra Duo is a max-cushioned running shoe that won’t hold you back with added weight. Fit4Her™ technology means that these running shoes were designed using the anatomy of the female foot, so you get the support you need where you need it most. The Max-LT™ midsole is firm enough to feel sturdy, but still soft enough to keep your feet comfortable on long runs. Also, the FootShape™ toe box helps get you some added power by encouraging the natural spread of your toes on impact with the road.